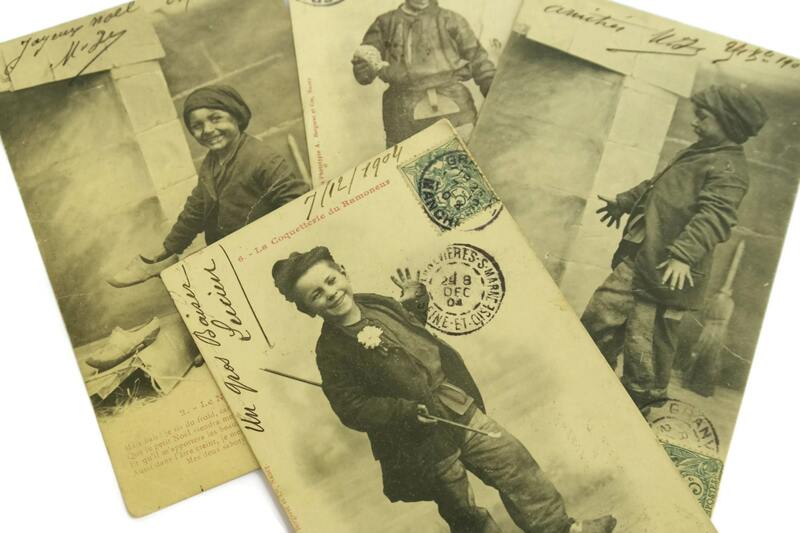 French Antique Chimney Sweep Postcards. Victorian Children Art Post cards. French Ephemera. 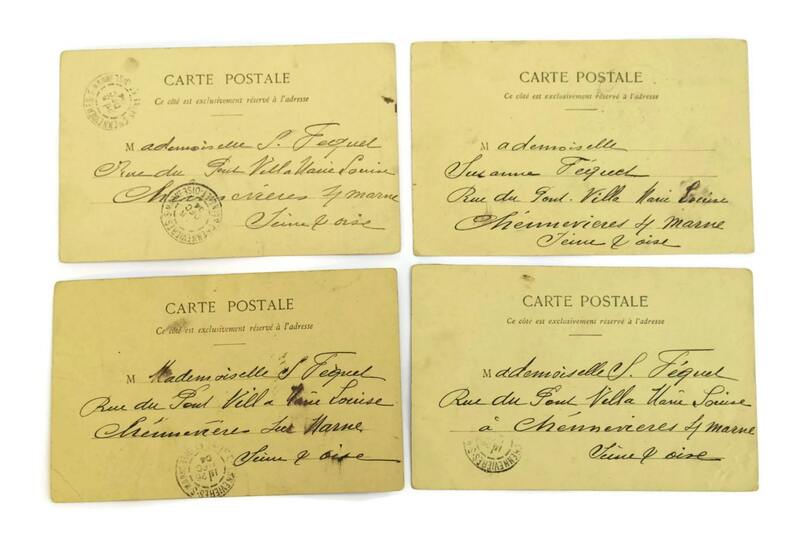 A charming set of 4 antique French postcards dating from the early 1900s. 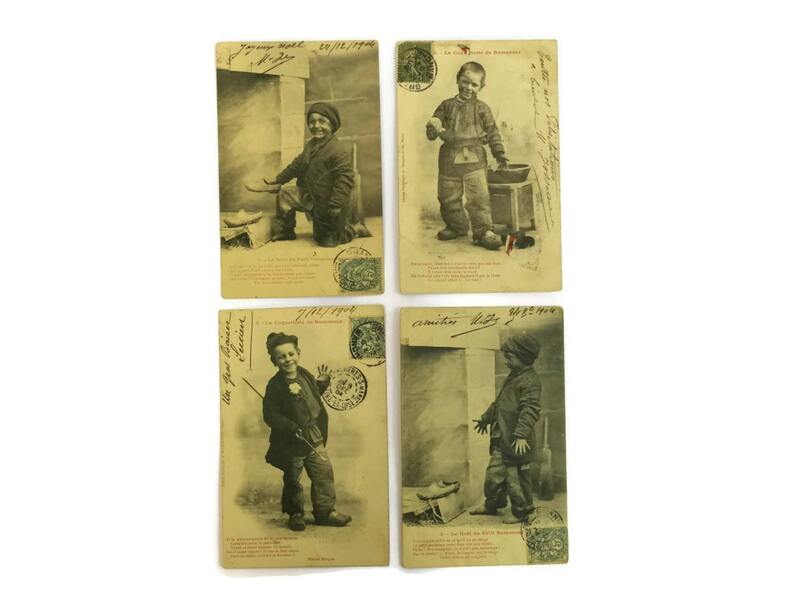 Each card fetaures the portrait of a young chimney sweep boy from the Victorian era. The antique cards have been oprinted in black and white and feature a short verse printed in red. All the cards have been written on and mailed with stamps and postmarks. Each card measures approximately 3.5" x 5.5" (9 cm x 14 cm). 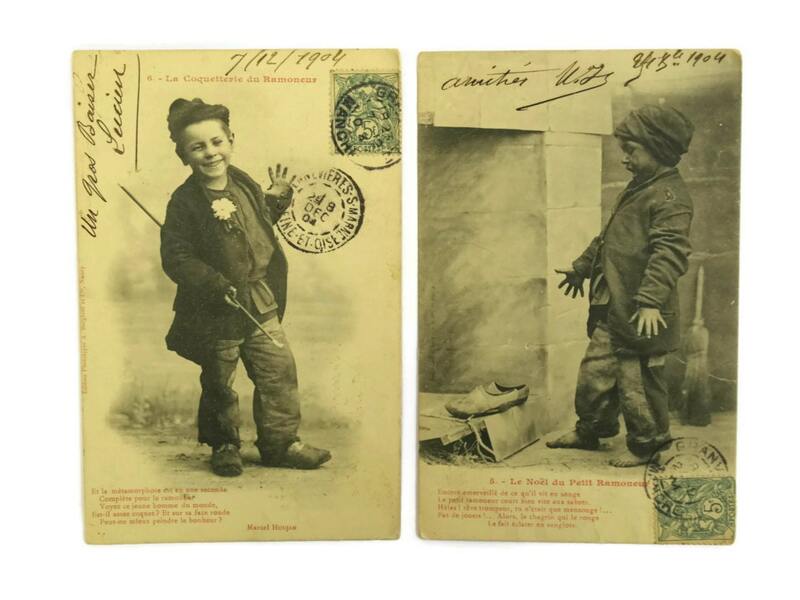 The set of postcards is in good condition with signs of age and use including light marks and wear to the paper. 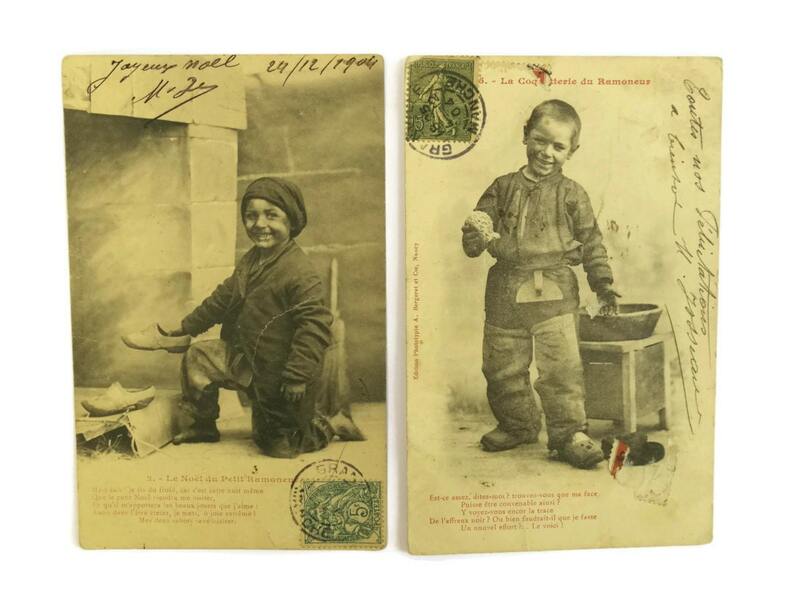 Item ref: French Antique Chimney Sweep Postcards. Victorian Children Art Post cards. French Ephemera.